Just a boat ride away is Antiparos, a small island around 1.5km from Paros, which also has lovely beaches, as well as a cave in the middle of the island underneath a mountain. Traditional Cycladic style houses can be seen around Parikia, with whitewash walls, flat roofs and the window frames, doors and shutters painted blue. 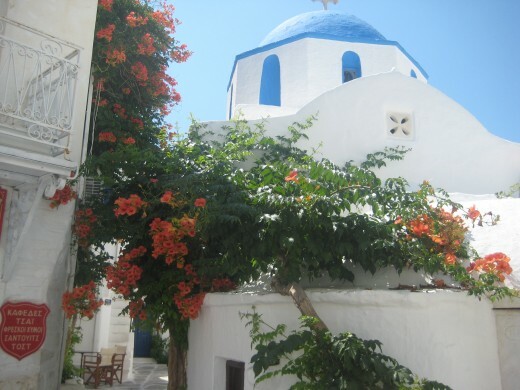 Small churches with blue domes can also be seen, as can the brightly coloured flower bougainvillea. Before you go, make sure you learn this vital piece of information about how to use toilets in Greece. If you don't, you could break the toilet. 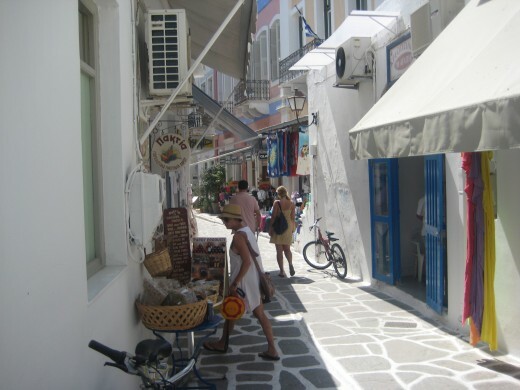 A small street in Paros with little shops. A bus stop. Some of the less popular stops just have a sign like this on the wall, no post or anything. So you may need to look a little bit harder to find it. I'm pretty sure this is bougainvillea. The yard at the Argonauta Apartments. 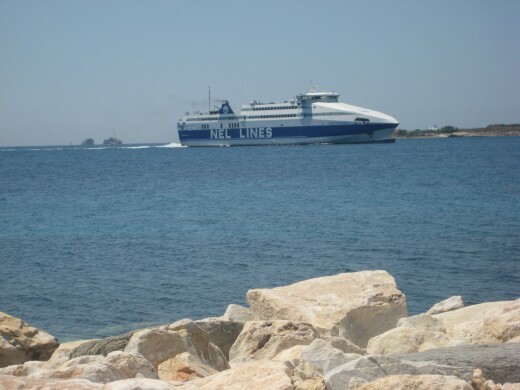 Paros can be reached by ferry or plane. Quick tip for the ferry: your economy class ticket only guarantees you a spot on the boat, not a seat! Try getting on early to get a seat. Also, there is a lot of smoking on the deck. 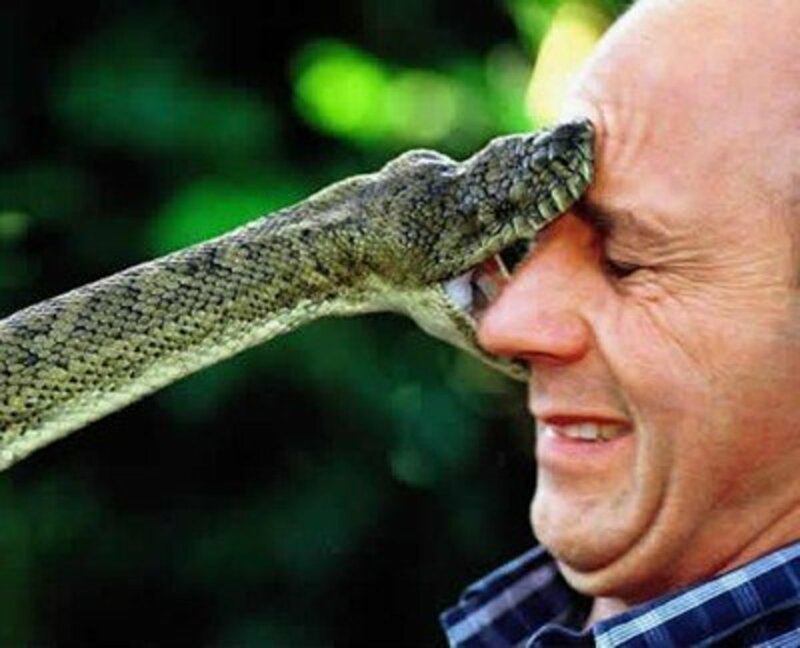 If this will be unpleasant for you, grab a seat inside. Also, you may be told to put your suitcases in the cargo area where you will be unable to supervise it, so put any valuables in a small day bag to take with you. 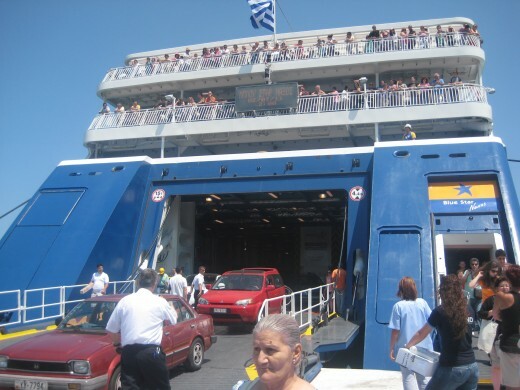 When arriving at Paros after catching the ferry, we felt like a celebrity at the port. There were heaps of locals held back by a small fence calling out and waving pieces of paper at us. But instead of our autograph, it was our custom they wanted. The pieces of paper were brochures about hotels, studios, apartments and bed & breakfasts. They were yelling out things like “our hotel has free wifi!”. Based on this, I would venture a guess that it is okay to not have accommodation pre-booked and you will still get plenty of choice. The chaos of the main port disappears quickly as you continue walking, and we found ourselves in quiet and pretty narrow streets with traditional cobbled pathways. Always reliable, but not so great to walk long or uphill distances on a hot day. If you do choose to walk, don't forget your hat, sunscreen, a bottle of water and a couple of euros to buy some refreshments. The bus is good, but somewhat infrequent. If you choose to catch this, get your hands on an up to date timetable or you may have to wait up to an hour for your bus. Don't forget to buy your tickets, because they do get checked, and if you don't have one the fine is apparently sixty times whatever the ticket would've cost. Make sure you are getting into a real taxi! 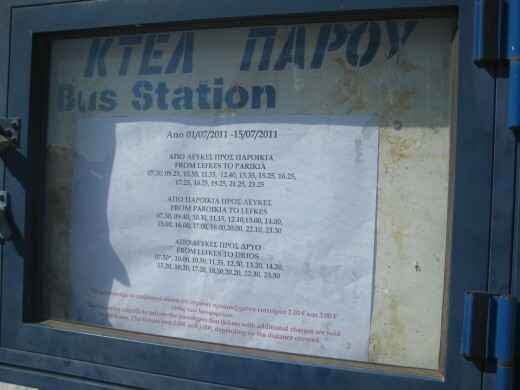 The real ones have a sign on top that says ΤΑΞΙ (which is TAXI in Greek) or TAXI and look official. Pretty straightforward, except make sure that you have a driver's license that will be valid in Greece. There are some small boats that take you from one point of the island to another. I stayed at the Argonauta Apartments, and it was a great choice. These apartments in Paros were in a quiet area away from all the bustle of the main streets, but still close enough to walk there easily. It was near a delicious bakery with home-made croissants for 1 euro and 50 cents each. Other places that looked good included the Agia Irini Villas, which have access to secluded beaches, and one of the villas has a private swimming pool. 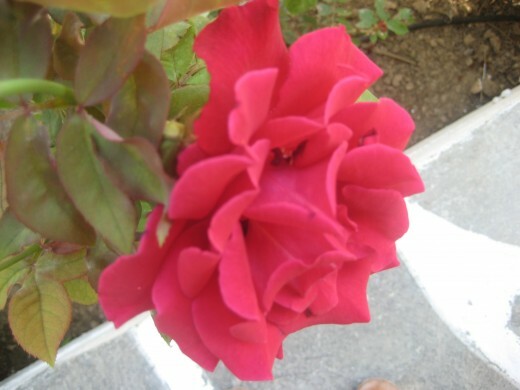 Maria's Place has cooking facilities, and offers rooms, studios and apartments in a bright, flowery setting. A large list of available places can be found on Paro's website. or Tripadvisor. The byzantine walk is a path that has been around since the byzantine times, and still has some of the original stones on the path! 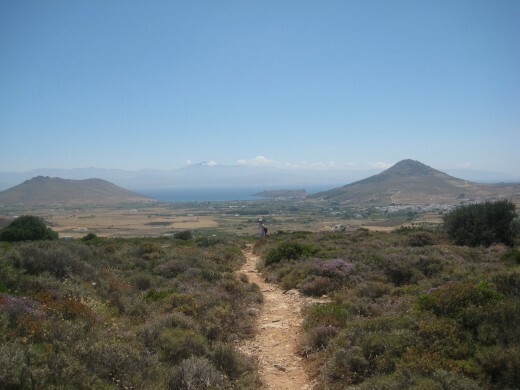 It is a scenic walk with lovely views and definitely recommended. The best time to do the walk is early or late in the day to avoid the worst of the heat. 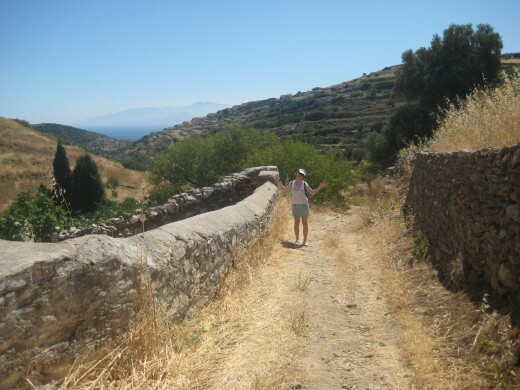 The walk is around 3 km long, and fairly easy. In one part you do have to walk up a hill however. Firm shoes should be worn, as well as a hat. Don't forget a bottle of water! 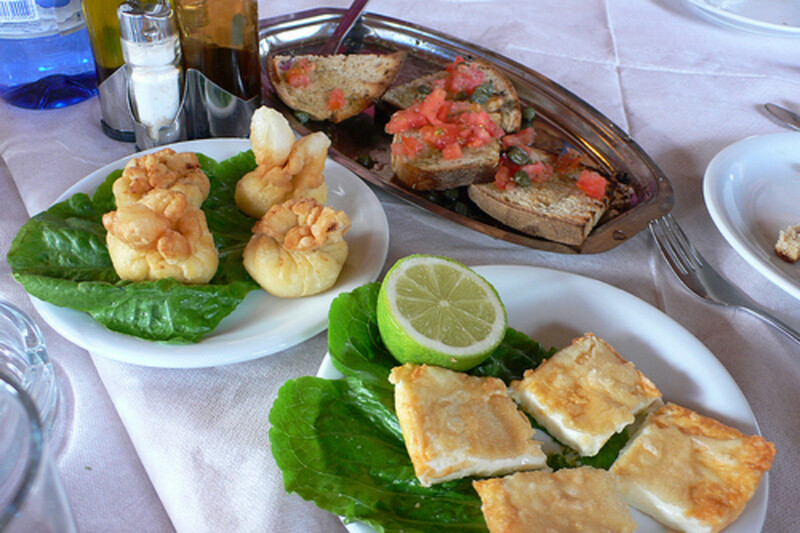 A tip for those who love hot chips: usually, “fried potatoes” on menus in Greece means “hot chips”. We had lunch at a restaurant called To Spitiko, and it was lovely. The owner was friendly, and at the end was genuinely pleased we had enjoyed the meal. I recommend everyone to try this restaurant. 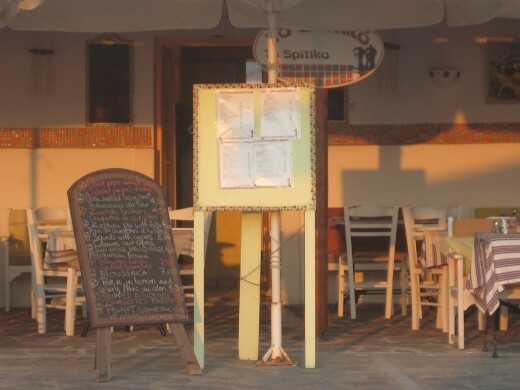 Apart from To Spitiko, which we ate at twice, we tried a new place every lunch and dinner for five days. Not a single meal was disappointing. Some of the graffiti in the cave was very old, such as this piece. 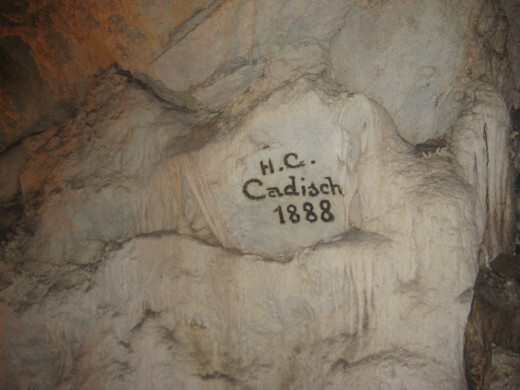 "H.C. Cadisch 1888". 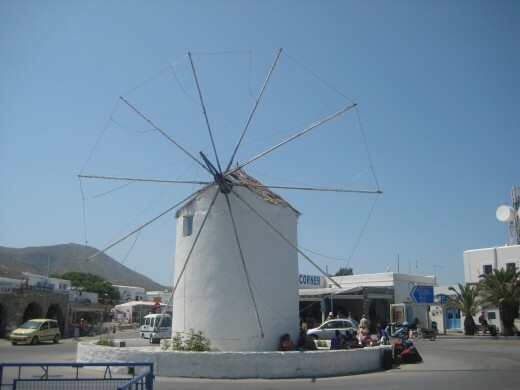 Antiparos is a small island off the coast of Paros, and is a great idea for a day trip! A visit to the old castle gate, the cave, some of its beaches and the main street is guaranteed to be a fun day. The main street is vibrant, with many small shops, including many clothes and swimsuit shops, jewellery shops, souvenir shops and even a few secondhand book shops selling books in a variety of languages including English, Greek, French and German. The cave is refreshingly cool and has beautiful formations. Wear walking shoes for this one, because there are a few stairs! If you are catching the bus, also ensure you have some way of keeping the time so you'll know when you have to be back at the bus. The old castle gate is a little hard to find, so ensure you have good directions. In Athens, there are many stray dogs and cats around. In Paros, there were hardly any stray dogs, but quite a few stray cats. 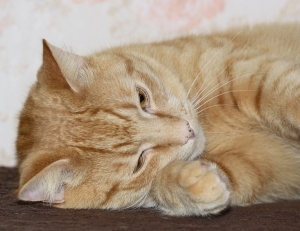 Don't worry, these cats are not unfriendly. I wouldn't recommend patting them (I did and the cat ran away from me so I don't think he liked it), but they shouldn't hurt you. if you look around, many people actually help take care of the cats by providing bowls of water for them to drink from. 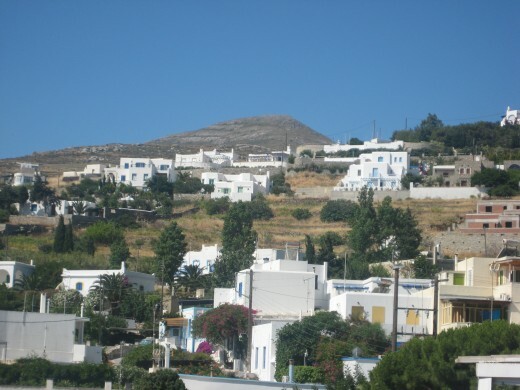 You can view upcoming events in Paros here. 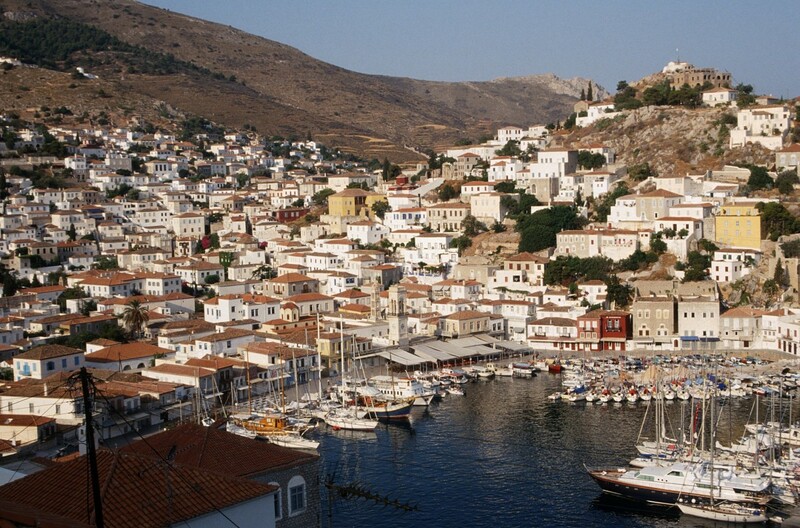 Are you going to the Greek Islands? What wonderful memories you brought back for me, i worked on Paros for 2 years, one for a lovely German couple called Sigi and Ruth who owned a wonderful restaurant called Lalula, on our afternoons off we used to catch a small local boat to a deserted beach, to while away the hours before the evening shift began. 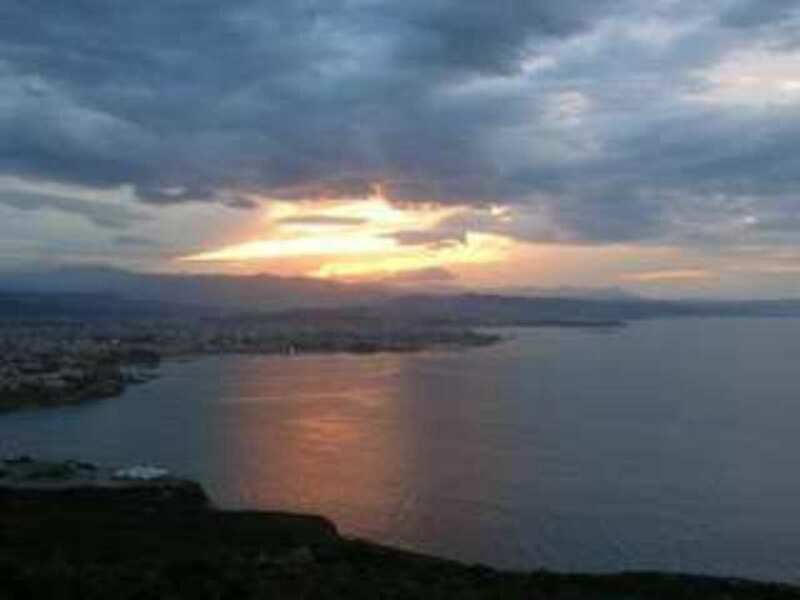 I love Greece it has to be in my top five travel destinations ever. Thanks for the information on the ferries! 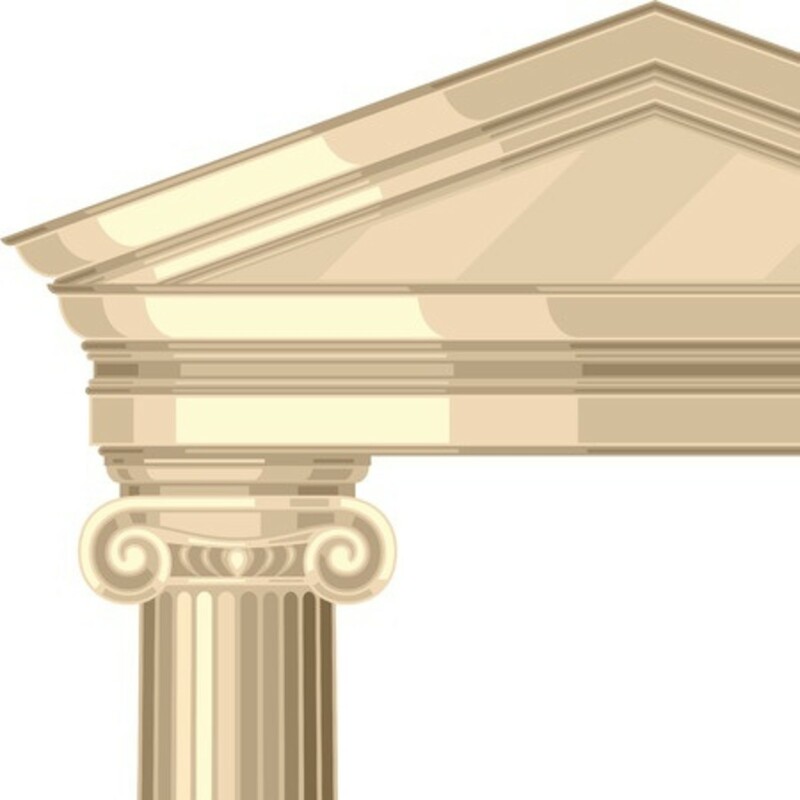 JSParker- That sounds like a lovely idea! I hope you end up going, I know you'll enjoy it. 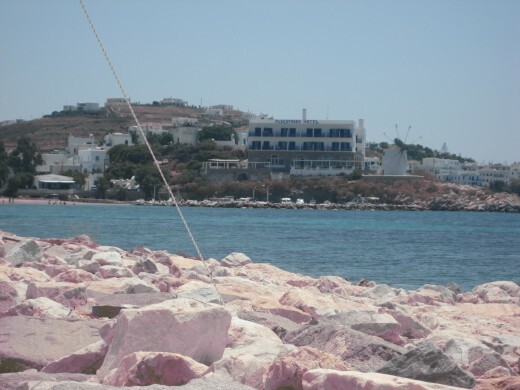 I personally went to both Santorini and Paros (and another island called Naxos). There are ferries that go from island to island, so it's fairly easy to visit a couple. Such a beautiful place. These islands are on my "bucket" list. 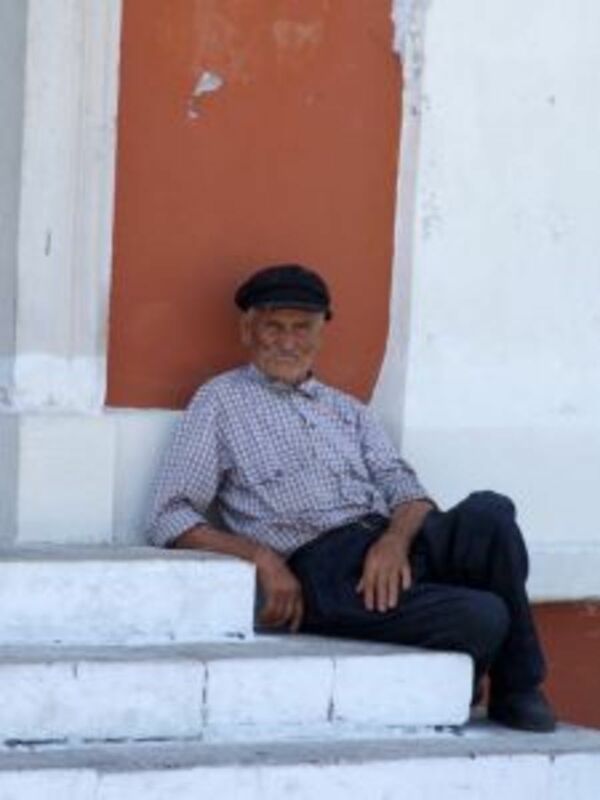 I've traveling quite a bit, but for my 65th, going to the Greek Isles has been my dream. How does one decide between Paros and Santorini (the ones I've heard of) and ?? Lovely to think of going though~ Very nicely presented! Thankyou, JLPeterson! I didn't know that. I'll try to figure it out later, but can't right now because I'm catching a plane to Athens. Wow! Great pictures of a place that looks magical. I wish I could have clicked on each picture to see it enlarged. 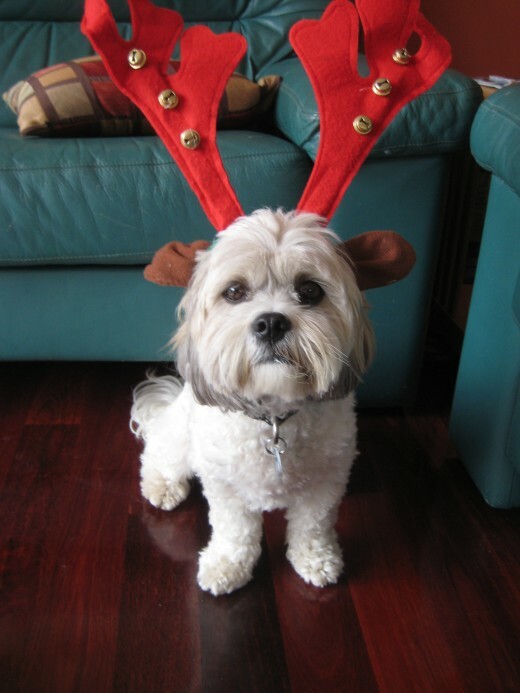 Did you know you can allow that when you add each picture? Thanks for a great hub! It is great! 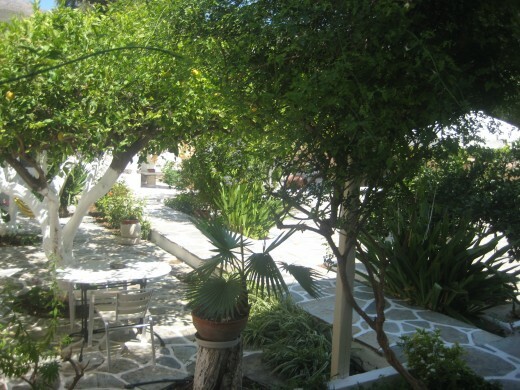 We stayed in Parikia, and it was absolutely lovely! The small streets were brilliant. That's part of why I loved the place we stayed at... it was in what I reckon was a residential area, so it was all lovely and traditional (the tree trunks were painted white). When we were walking around the labyrinth of small streets we even saw an old guy painting the white lines in between the stones on the ground to make the lines more distinctive in front of his house. I've always wanted to visit Greece. The history! The people! The food! The beautiful whitewashed walls!!! 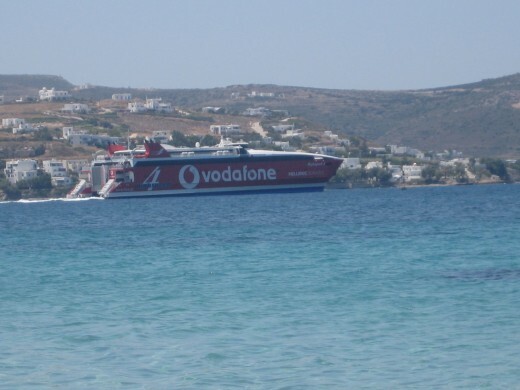 Paros sounds like a particularly fantastic destination. Love this guide... now I just need to get my crap together and GO!